21st century physics is a complex enterprise involving a combination of scientific, engineering and technical skills. Oxford Physics Department works with companies to share expertise, develop new ideas, provide services and commercialise research. We welcome working with new business partners. Oxford Physics is made up of over 100 academics with research spanning many different technology areas. It is one of the largest physics departments in the world. Discover how the unique expertise at the Oxford physics department can help your business. We are collaborating with Oxford Instruments on developing quantum computing technology. 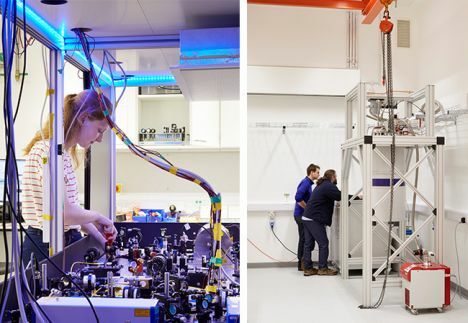 Both research and commercialisation are furthered through this long standing collaboration, which began with the formation of Oxford Instruments from the Department of Physics in 1959.